Many people suffer from a compressed spine, but there is no need to go through life in such horrible pain. While a simple adjustment may be all you need, many people find themselves needing a bit more of an intensive treatment to feel any relief. 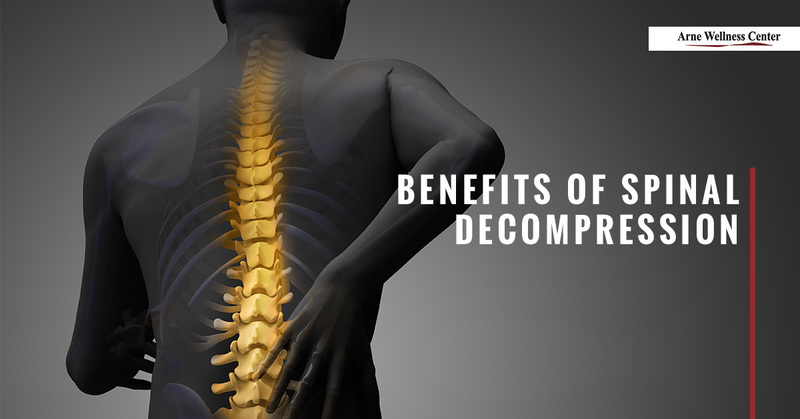 That’s why spinal decompression therapy may be the perfect choice for you. Read on to learn more about how our Littleton chiropractor can help you. Spinal decompression is possible without surgery, and this is the preferred choice for most people seeking relief. The process works by gently elongating and stretching the spine that can change both its positioning and its force. When these factors are altered, the pressure on the spinal discs is lessened. Without the pressure of the rest of the spine weighing on the disks, bulging or herniated discs are much more likely to retract, which can alleviate the pressure they have been placing on the nerves and muscles in your back. Along with the sudden release of pressure, decompression treatments promote water movement, oxygen, and nutrient fluids into your discs to encourage healing. Your chiropractor or doctor fits you with a harness around your pelvis and another one around your torso. Depending on which direction is best for your needs, you will either lay face down or face up on a computer-controlled table. Your chiropractor will control this table and adjust the settings as need be for your treatment. This process can take anywhere from half an hour to 45 minutes, and you may need 20 to 28 treatments over five to seven weeks. If the chiropractor believes that you may need further treatments, such as cold or heat therapy, they will instruct you on what to do. Who Should NOT Have Spinal Decompression Therapy? This form of therapy is certainly not for everyone. It is best to avoid this treatment if you are pregnant, have a fracture that could get in the way of the procedure, a tumor, metal implants in your spine, or advanced osteoporosis. You should always check with a doctor to ensure that you are a good candidate! If you are not a good candidate for this type of therapy, we may be able to find an alternative to still give you lasting pain relief. If you are interested in learning more about spinal decompression therapy and what it may be able to do for your back pain, then it’s time to call Arne Wellness Center! Our holistic approach to healing may be just what you need to experience significant pain relief. You only get one body, so make sure to take care of it by scheduling your appointment with us today!